That’s R&R customer Fred Mittelman sitting in his 1960 Triumph TR3A in our photo above. Standing alongside is Diane Page, Fred’s wife. We took the photo at the Britain on the Green 2013 car show, where Fred’s Triumph won Best in Class. 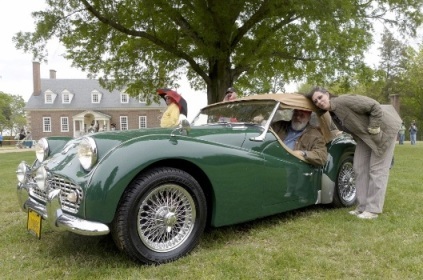 The 16th annual Britain on the Green was held on Sunday, April 28, at historic Gunston Hall Plantation in Mason Neck, Virginia, home of American patriot George Mason. The car show is hosted by the Capital Triumph Register, a Washington-area organization for Triumph enthusiasts founded in 1989. Fred’s Triumph has been part of the Mittelman family for 53 years. It was purchased in March 1960 by Fred’s Uncle Norm, who treasured the car for nearly 50 years. Uncle Norm knew, however, that his nephew Fred had fallen in love with the car from the beginning. Sometime in 2007, Uncle Norm informed Fred that he had willed the Triumph to him. As the attorney who had prepared his uncle’s will, Fred pointed out that if Uncle Norm had indeed willed the car to his nephew, he should know about it. Uncle Norm then asked Fred if he would like to take immediate possession of the car. Some six months later, Fred was the new owner of the Mittelman family Triumph. Shortly thereafter, Fred pursued maintenance and repair on the vehicle, including restoration work on the body. The car’s mileage when Fred received the car was 69,000. Today, the mileage is only 71,000, but now that the car is in tip-top shape again, Fred intends to enjoy putting a few more miles on it. Fred and Diane have been long-time loyal R&R customers, and the TR3A is not the first Triumph that R&R has serviced for them. In fact, in the mid-1980s, Fred purchased a TR6 from R&R owner Rob Carter, Fred says. 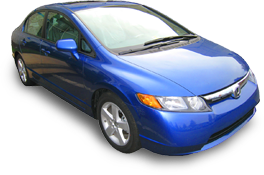 In addition to the family’s specialty cars, R&R also services Fred and Diane’s regular vehicles. 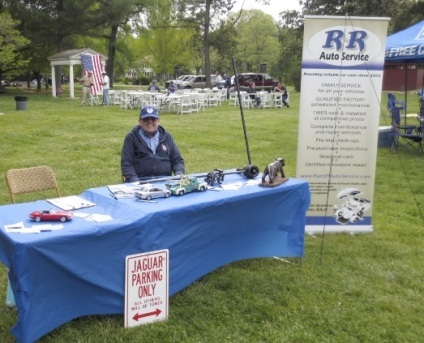 R&R once again sponsored the annual Britain on the Green, and pictured above is our display table at this year’s show, being manned by another of our long-time customers, Tim Acord, who just wanted to help out for the day. At R&R Auto Service, our customers become family. Every car deserves a little R&R. Particularly those British models.